The only version of TWRP that was previously compatible with my tablet Fuhu Nabi 2 was TWRP 2.2.2.1 due to a calibration bug (See Here). But I just found that TWRP 2.8.5.0 works fine! As I still have Android 4.1.1 (Jelly Bean) on my Nabi 2, I did get the Jelly Bean version of TWRP 2.8.5.0 mentioned here as I still have Android 4.1.1 on my Nabi 2. Next, I took the Auto-Installer to be found here. Then, I did unzip the "Twrp-recovery-JBNV7AUS-285.zip" into the Auto-Installer's subfolder "twrp\new" and renamed it from "twrp-recovery.img" into "recovery.img" (replacing the existing img file). Finally, I run RecoveryUpdater.bat and pick the option 1: "1. Install TWRP 2.3.3.0 for Nabi versions 1.9.37 (recommended)". "KingoRoot" also worked fine too root my Fuhu Nabi 2! See here how I previously used it to root my two Lenovo A5500-F. The Nabi 2 had Rom 1.9.37 and TWRP Recovery Image 2.2.2.1. I had a touch screen calibration issue with more recent TWRP. I didn't try to most recent one however (E.g. : 2.6.3.0). Original site of TWRP can be found Here. All TWRP versions tested for Nabi 2 can be found here as well as the native Recovery Image from Fuhu. All Stock Versions can be found here. Install PDA.Net, to be found here, if not available anymore on your PC. Boot the Nabi 2 in recovery mode by pressing both the Volume + Button and the Power Button. Press twice the Volume - Button to move to the menu "Recovery Kernel"
it takes quite a few seconds to enter. Be patient. Once entered in Teamwin (TWRP), select "Restore"
Only restore System and Boot, but not your data! Once the restore completed, reboot the system. Once back into Android, go to the "Settings" > "About" > "System Updates" > "Check now" for updates, "Download" it and install. Android will reboot at the end of that update. This was actually the "first part" of the upgrade from the Stock Rom 2.0.5 to 2.3.11. With that first part, you are not yet running Android 4.1.1. You have to redo the step here above once more to install the "second part". Notice: I had an issue with the installation of the "first part". I think that the "update" file was corrupted because I lost the Wi-Fi connection for a few seconds during the download. So, I had to restart the operation and it went then well. Now, instead of "Restore", select "Install" and pick the file OTA2.zip from the "external SD"
As far as I am concerned, I did a "Wipe Cache/dalvik" after the installation.. Et voilà. 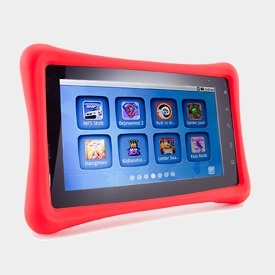 The Nabi 2 is now running a fresh Jelly Bean with all kids' favorite games re-installed from Google Play. Big big thanks to XDA-Developers' community for providing such a great support!! It also freezes sometimes while my kids are playing. Not often but still... I never had any issue in the past. I used to buy the 3G USB dongle of Belgacom to surf for free on the web with my laptop during the weekends. 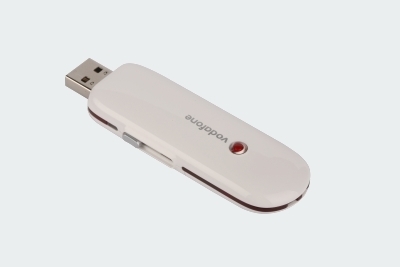 It's a Vodaphone dongle (a "HUAWEI Mobile Connect - 3G Modem" inside). I was just wondering if I could use it on my Fuhi Nabi II tablet. The answer is YES if your tablet is rooted! My Tablet, a Fuhu Nabi II, is running Android 4.0.4. It has Bluetooth and Wi-Fi but no 3G. Since a few weeks, I have a "Belgacom Internet Partout Maxi" subscription, including mobile internet for free during the whole week (You have to go into your "e-Services" to modify your current "Mobile Internet Free Weekend" subscription and activate the "Mobile Internet laptop" as mentioned here). That's why I was motivated to try my Belgacom dongle on my tablet. First, I had to install PPP Widget on my Tablet. Next, I did add the Widget on the screen. At that time, you will see a status "Checking access" displayed by PPP Widget and you will be prompted to grant it root access. If you don't grant it root access, you will see a status "No root access" displayed. I suggest you to re-add the widget on the screen and grant it access or you won't be able to use it. Connect a USB cable to the tablet. I did use an official Samsung USB adapter I bought for my Galaxy SII. Connect the Vodaphone Dongle on the USB cable. The dongle's led should start to blink "green". When you are prompted by PPP Widget to "open PPP Widget when this USB devices is connected", select "Use by default for this USB device" and click OK.
Now, The dongle's led should blink "blue". The Connect button of the PPP Widget will become "enabled". Click on that button. PPP Widget will display the status "Dialing out...". If it fails to connect, the status "Disconnected" will displayed. Otherwise, you should see "Connected!" and the dongle's led should stay fixed "blue". Enjoy ! If it does not succeed to connect, check that the dongle is still working on your laptop. Running the application "Vodaphone Mobile Connect Lite" on your Laptop, you will possibly get more details like "Sim card not found", ... Notice: I tried to use the latest version of the application "Vodaphone Mobile Connect Lite" on my Laptop (Windows 8.1) but got a message like "This program as compatibility issues". I tried to run the Compatibility Troubleshooter, but it didn't find a solution. Finally, although the application could start anyway, it didn't detect the dongle. So I would recommend to use the software version available on the key itself. You can also enable the log within PPP Widget, via the Configure menu. Notice: if your tablet goes to sleep mode, you will be "disconnected" and the dongle will restart to blink "green". When the tablet waked up, you should see PPP widget trying to re-detect the dongle and setup the modem. If it succeeds, you will be able to click on "Connect". Otherwise, to unplug and replug the dongle.